Bring out your inner princess and transform your run into a magical journey fueled by pixie dust and headed toward an enchanted castle. 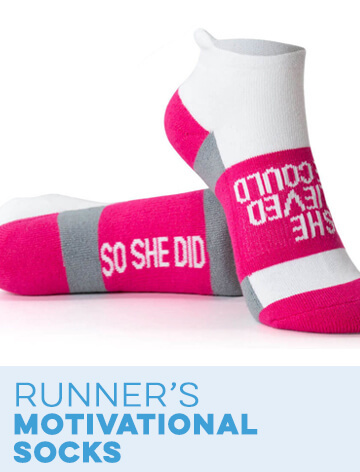 Reward your own hard work and treat yourself like a queen with Gone For a Run's magical race gift collection. 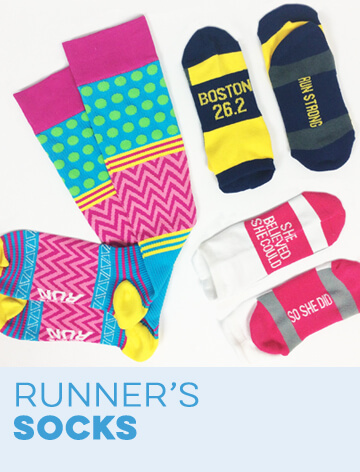 Our selection includes themed outfits, shirts, tutus, leggings, apparel, accessories, jewelry, hats, headbands, socks and shoelace charms. 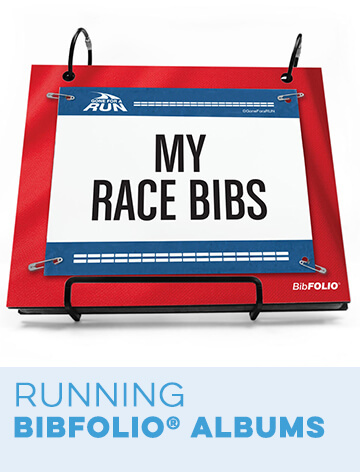 Keep the magic going through your home with magical-themed throw pillows, wall art, photo and race bib display frames, coasters, drink-ware and Christmas ornaments. 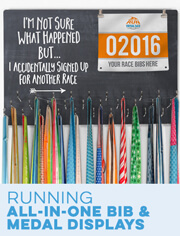 Magical castles, tiaras and fairies adorn delightful displays made for exhibiting your race medals and race bibs. Colorful vinyl car decals and car magnets take the magic with you on the road. 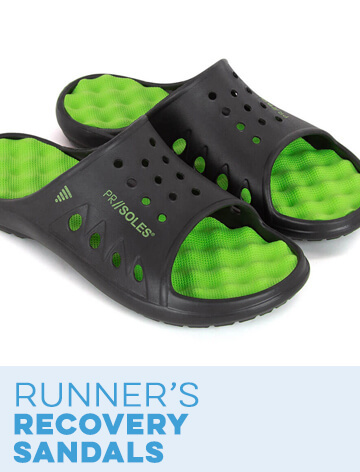 Many items can be given a special difference by adding your own personalized text, such as your name, race information, or other text of your choosing. 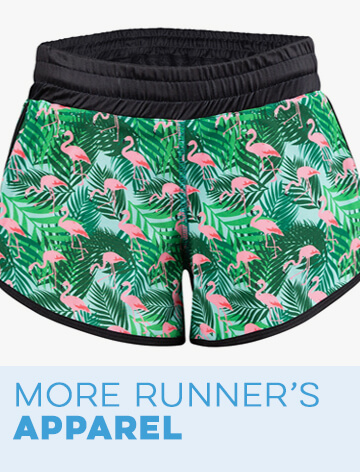 Make your race even more magical with one of our specially designed magical running outfits. 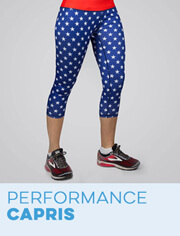 Drape your red cape over your "Fairest of Them All" runner's ensemble, complete with a printed performance tank top, sequin tutu, princess sleeves and printed headband. If you prefer to show your dark side, check out the "Darkside Running Team" or pirate-style "Thought They Said Rum" ensembles. Some other options include "Mermaid", "Ready Set Snow", "Beauty", "Pixie Fairy", "Cowgirl" and "Robot", to name a few. All the components for these outfits can be purchased separately, as well. Enjoy the extreme softness of our fitted T-shirts and short- and long-sleeved shirts while keeping the glittery "Magical Miles" and "Powered By Pixie Dust" magic going. 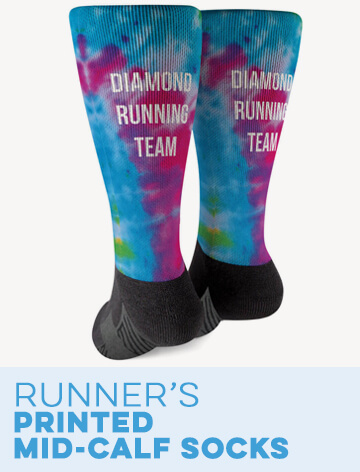 Add printed performance sweatshirts, leggings, socks and headbands for your own magical creations. 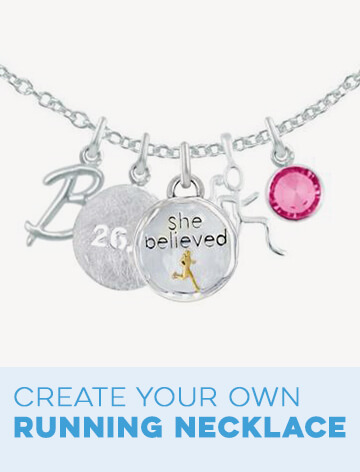 Sterling silver castle and princess necklaces make a great gift for your running princess. Dress up your shoes with our mystical shoelace charms or adorn your lapel with our enchanting lapel pins. "Running Is Magic" when post run potions are served in themed wine glasses, beer glasses, coffee mugs and drink tumblers. 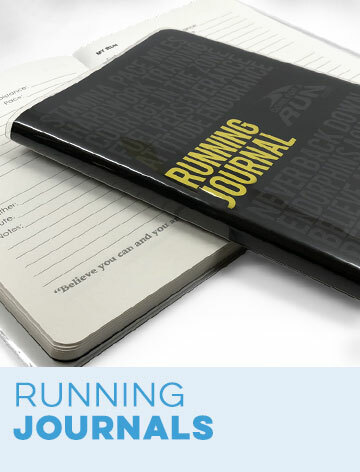 All that the running princes needs is here, as a memorable gift for someone else or as a well-deserved treasure for you.